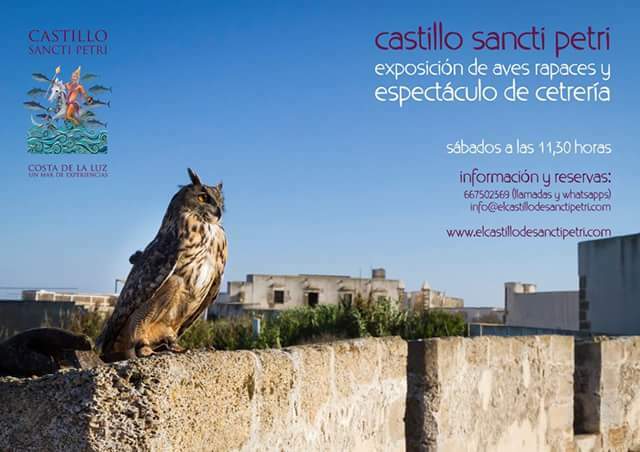 Every Saturday from September to June at 11.30 am in Sancti Petri Castle, there will be an exhibition of birds of prey and a show of falconry. The price includes boat trip, free guided tour, bird show and falconry show. Our apartments are very close to the Castle so we invite you to visit us and to know this castle so emblematic.